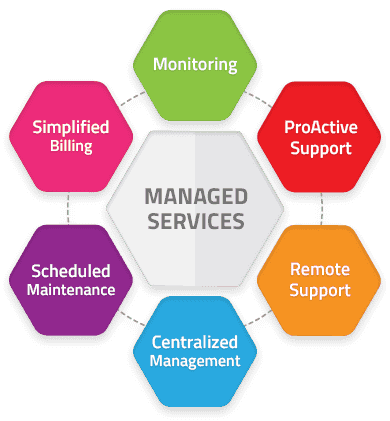 A managed service provider (MSP) is a centralized platform for MSPs which combines the Service Desk, Patch Management, and RMM (Remote Monitoring & Management) into a single and easy to use console. A Managed Service Provider (MSP) is an IT service company offering managed services to end users and organizations on a proactive basis. Managed services are responsible for hosting and then managing servers, specialized applications and network for clients. Mostly, MSPs own the entire physical back-end infrastructure and also provides resources to their clients. All this is remotely performed over the internet and helps clients cut costs besides enhancing their operations. Managed services provided by MSPs are considered to be an alternative to the break-fix or on-demand outsourcing model where services are offered on-demand and the client is billed for these services. Who are Managed Service Providers? Managed Service Providers are referred to as third-party companies responsible for managing and maintaining enterprise networks so that these enterprises will be able to focus on improving their services without worrying about break-downs or interruptions. Using MSPs is considered to be a strategic method ideal for enhancing daily enterprise-related operations. Today, almost all companies use computers, but a number of them find it difficult to handle computer or network-maintenance activities. Such enterprises can avail the services offered by an MSP. MSPs have been in action since the 1990s. Originally, they were known as Application Service Providers (ASPs), which were only responsible for remote IT infrastructure management. Their services expanded over the years and thus comprised of remote firewall administration, security-as-a-service, and mobile device management. 24/7/365 Network Monitoring: Managed Service Providers frequently guarantee round-the-clock network protection by using sophisticated network monitoring tools. Comprehensive Reporting: MSPs are capable of offering a complete view of the enterprise infrastructure, which allows MSP executives to keep track of everything that happens in their company. Improved Security: MSPs greatly improve enterprise as they are equipped with efficient backup and disaster recovery plan. Cost Effective: Unplanned repair services can be a huge cost burden on enterprises. By hiring MSPs, enterprises succeed in controlling such costs by paying fixed monthly costs which cover all kinds of repairs and service costs on a contractual basis. Scheduled Maintenance: An MSP guarantees scheduled maintenance of the organizations' networks on a quarterly or monthly basis according to the Service Level Agreement. Centralized Management: MSPs provide a single and powerful console capable of handling complex networks. They also provide patch management solution, service desk, remote monitoring and security solutions to multiple clients with centralized controls. Remote Support: MSPs provide cloud-based solutions to handle remote computers. Some MSPs provide assistance that will help you through all steps of the transition process. Besides managing your services in an efficient manner, you can also spend extra time to supervise financial and operational services. MSPs also aid in remotely trouble-shooting technical problems. Proactive Support: MSPs integrate comprehensive and regular preventative maintenance systems in order to stay ahead of any issues related to desktop devices and networks. They are a powerful medium through which both the reliability and stability of the organization's IT assets are ensured. MSPs also provide scalable cloud storage and the payment varies for the amount of storage space needed by the user. 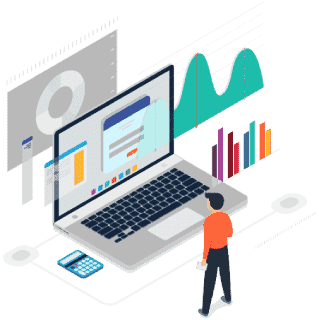 Monitoring: An MSP offers efficient, customized and real-time monitoring solutions for any network device, website, application, or server of an organization. It is capable of delivering 24x7x365 network monitoring to guarantee optimum uptime for your business. Simplified Billing: An MSP provides a billing management system to handle tasks like invoicing, payments, tracking, and budgeting. MSPs offering this option manage billing system to guarantee visibility. With all the attention that is given to cloud services, managed services, application hosting, etc, companies identify ways of unloading good management and administration of applications, and business services. There are companies that manage the administration of applications and software but continue to be unsure about the scope of the support they provide. MSPs are in great demand as mid and small-sized businesses focus more on their business aspects and assign IT and other tasks to experts capable of handling them efficiently. Thus, choosing the right MSP is critical whether you just want to manage a mainframe application or choose to outsource all IT. The break-fix method waits for systems, servers or other critical networking devices to fail or break and then seeks to fix them. Managed services, on the other hand, seek to prevent issues prior to them interrupt management, employees, and/or clients. MSPs offering managed services prevent clients from falling behind in keeping up with things and also prevent them from facing an IT outage or a huge issue that could bring about a negative impact on their business. Managed services deal with patches, backups, and security. The break-fix method focuses on fixing issues as they occur and fails to prevent issues from happening. This would eventually affect the performance of client companies and bring about a huge loss to businesses. Today, businesses cannot afford to depend on such break-fix solution providers; they rely on having a non-failing and reliable IT infrastructure. Furthermore, they cannot have separate service providers handling varied areas of the system, which would, in fact, be slightly complex and time-consuming for them. These reasons led to the break-fix method being rather irrelevant for businesses and most businesses today depend on MSPs. Are Managed Services Costlier than Break-Fix Services? Managed Services are generally cheaper compared to the standard break-fix services. The true cost of downtime would show that depending on managed services is on the whole cheaper. Instead of frequently visiting customer sites, MSPs offer managed services via remote monitoring and remote maintenance. This indeed allows them to offer improved services at a lesser cost. How MSPs Price Their Services? Generally, MSPs go for a flat-rate monthly pricing system mostly based on the services included in the program that is offered. The number of devices covered would also be taken into account and different packages would be worked out at varied levels. While the most fundamental services by MSPs usually start with a simple monitoring service, like notifying clients of issues and allowing them to take care of the same themselves, there are also providers that offer wholly managed services such as alerts, problem resolution etc. The costs are finalized based on the MSP services. ITarian MSP is considered to be a centralized platform for MSPs which incorporates Patch Management, Service Desk, and Remote Monitoring and Management (RMM) into one easy-to-use console. In this open platform, MSP's will be able to take advantage of the money that they save from licensing and added costs to reinvest in their business for added staff, modern technology, and extraordinary operational performance. ITarian MSP enables MSPs to monitor, systematize, and then automate existing processes and also view real-time data and notifications from customer networks in order to reduce the operating costs and also increase the quality of service.